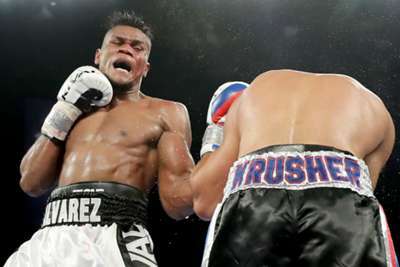 Eleider Alvarez's first defence of his WBO light-heavyweight title will be a rematch against Sergey Kovalev in Texas on February 2. Despite trailing after six rounds, Alvarez (24-0) sent Kovalev (32-3-1) to the canvas three times to claim a seventh-round knockout and take the 35-year-old's strap in Atlantic City in August. The fight will take place at Ford Center at the Star in Frisco, Texas – the Dallas Cowboys' practice facility. ''The fact that Kovalev said it was a mistake and that I was lucky is motivation for me," said Alvarez in a press release. "He is a sore loser, and I will make sure there will be a second 'accident'. "I expect Kovalev to be stronger in that second fight. I expect the best Kovalev because he won't underestimate me this time, but I am fully aware of this. I am able to be even better than in the last fight." "I will look to take back my title and put on a great show for the fans. Together with my new trainer, Buddy McGirt, I will be ready for Alvarez," he said.